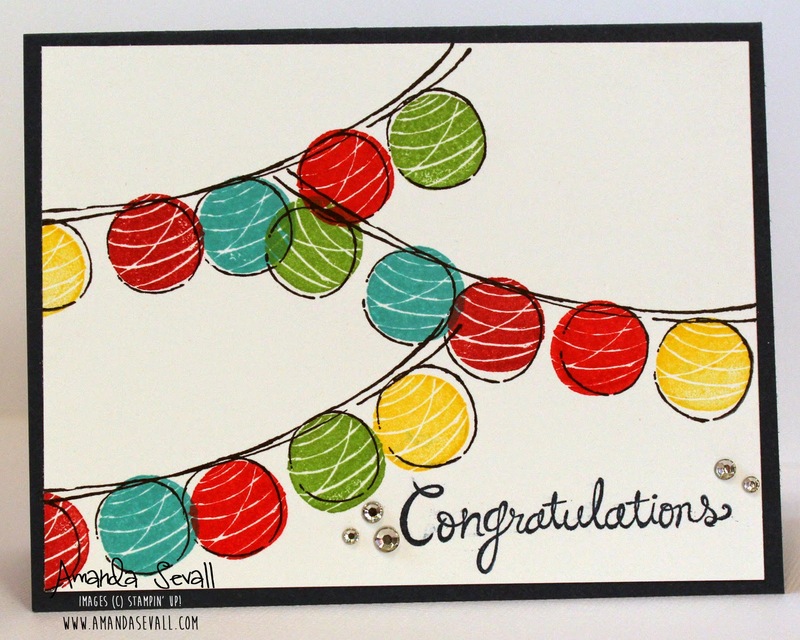 Amanda Sevall Designs: 365 Cards: Congratulations! Love how fun and easy it was to stamp this one! 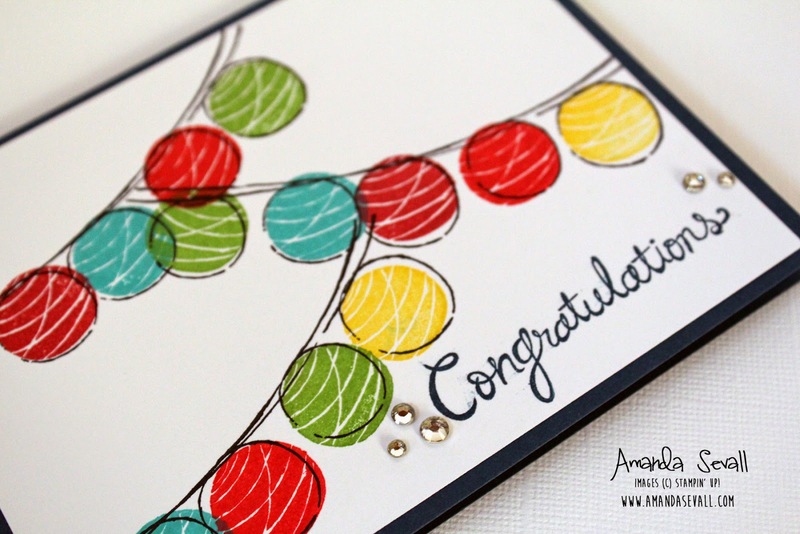 Definitely a happy card to celebrate any occasion with! This stamp set has me thinking of what else can I use it for? It's definitely a string of lanterns... could it be anything else? I like it as is, but fireworks would be cool. I can't believe that with your thousands of stamps, there's actually ANYTHING you don't have!